January typically gets all the praise as the time to set new goals and focus on self-improvement, but a lot of pressure falls on February to ensure we are living up to those goals and meeting our own expectations. It's easy to chalk-up the shortest month of the year as the time for Valentine's Day and nothing else, but February offers much more than that. Many use February as a time for reflection and healing. “February Skies” is originally performed by 30-year-old Santa Monica-native Natalie Mering, known by her stage name of Weyes Blood. This particular song carries a melancholy tone throughout its composition. The slow-tempted track features a kick-drum heavy drum pattern accompanied by a slow-building bass line while a guitar riff carries the background of the instrumentation. Weyes unique vocal ability emotes rare darkness that can’t be recreated by even some of the most respected and talented vocalists today. The overall theme of the song brightens as the bridge approaches as Mering sings, "First day of spring| Winter must bring| Well, you weary child| Wondered so long| Now you can follow| The sun, The sun." An airy synth flute dominates the track as Weyes Blood closes out the song with an increased amount of reverb on her vocal performance. “February Skies” might not be the happiest of tunes but it does reflect the emotions of many waiting for the arrival of spring and was flawlessly executed. When the topic of February arises, especially in regards to music, many wouldn't relate the month to Electro-pop. Somehow, the Canadian singer-songwriter and comic book author, Valerie Anne Poxleitner — better known by her stage name Lights — was able to curate one of her largest singles around the month. Lights' song "February Air" features a wide array of futuristic synthesizers an arpeggiated bass line and semi-muted drum sequence. Vocally, Poxleitner experiments with various vocal ranges as she weaves throughout her verses while through the choruses several layers of lyrics are stacked up together creating a thick vocal presence. Contextually, this is probably one of the more joyful February songs to make this particular list. Listening to "February Air" almost feels like summer. What makes hip-hop universal is the fact that many of its participants experience some of the same struggles regardless of their located on the globe. Ramson Badbonez's "February – Whateva Da Weatha" does exactly this. While some of us might be suffering through our hardships in the States, we rarely think outside of our current conditions to think if other creatives on different continents are suffering from the same elements. This particular track by the London-based artists put on the full display of having to participate in some of the worst felonious behavior regardless of the severe climates of the winter months, in this case, February. The song features some of the most common themes recognized in hip-hop. A four-bar sample is looped over some hard-hitting drums while the rapper rips through the instrumental with their best lyrics. This offering from Ramson Badbonez is an underground gem to be appreciated by hip-hop heads not only in the UK but everywhere. Well done. "February Stars" by the Foo Fighters lives up to its post-grunge roots. The band formulated by former Nirvana drummer, Dave Grohl, has kept the legacy of his former band and former bandmate/friend Kurt Cobain alive. Grohl's musical accomplishments are a nod of what could have been if Cobain was able to win his battle with depression. However, this isn't the case and now Grohl's brainchild known as the Foo Fighters has become one of the most prominent names in rock today. In regards to this particular track, "February Stars" is an ode to resilience and the realization of barely doing enough just to make it to the next obstacle knowing that failure is awaiting in the near future. It might come off as pessimistic or cynical, but "February Stars" displays strength and self-awareness in its purest form. Sonically, the song doesn't pick up until its final verse where your hit with an influx of energy and emotion but, it's well worth the wait. Without using words, Coastal completely embodied the vibrations of London in February. The slow-paced track features an electric guitar that holds the four-count drenched in a large amount of reverb. A second guitar enters the atmosphere as the hi-hat and drum pattern find their way into the beat. Lastly, lightly played piano chords make an appearance while the sounds of city life in London are incorporated into the musical offering. "London in February" feels like winter is coming to a close; it allows listeners to live in the moment and embrace the harsh climate of the colder months. This track is short, sweet, and doesn't drown the listener in an overly complex musical composition. The instrumentation on “February Song” definitely doesn’t lack a wide variety of musical elements. Strong piano chords carry the track while the bass line holds every element of the instrumental of the song together. Hints of chimes, a background guitar riff, and a string section take the song over the top completing the song’s beautiful composition. Contextually, “February Song” is a tune of resilience, being aware of one’s place in the world, and keeping promises. Performances like these are exactly why Josh Groban is considered a world-class musician. The stylistic musical renderings of the Avett Brothers have been described as a mashup of folk, country, gospel, and punk. The duo of Seth and Scott Avett have taken elements from various genres of music to curate their own individual sound and it can be heard throughout their art. However, "February Seven" might be one of their darkest moments in their recorded history. "February Seven" is rather difficult to interpret but, the general consensus might consider the track to be internal struggle and realization that chasing an end goal is ultimately meaningless as time forever moves forward with or without you so, you might as well go with the flow. "February Seven" also has elements of battling inner conflict and coming out of it the victor. Who knows. 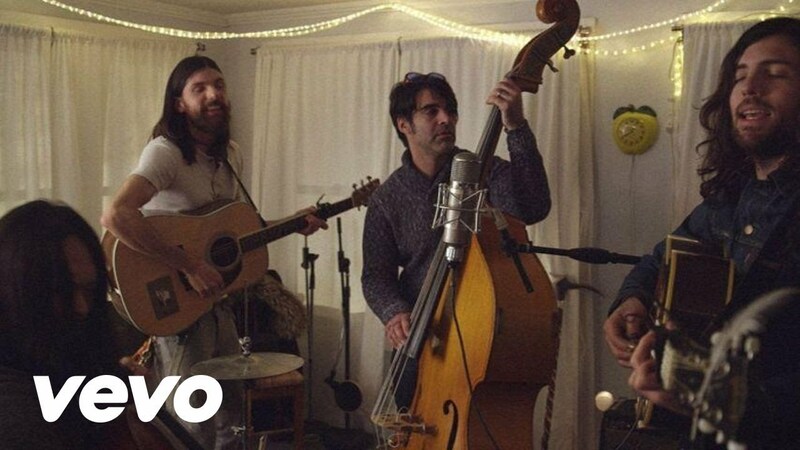 As previously stated, music is subjective and could be interpreted as one pleases to but, there definitely is no denying that the Avett Brothers delivered on their February-themed song flawlessly. One might think that it is nearly impossible to deliver an interesting musical message in just a single minute, but the Australian indie-pop band known as Architecture in Helsinki was able to do just that with their single "One Heavy February." The tune features a multitude of different synth pads accompanied by a lightly laid drum pattern that's sonically translucent while a quick double-clap and tambourine allows listeners to participate in the musicianship. Initially, music enthusiasts might believe that a song entitled "One Heavy February" might turn out to be somber or drab but, the song curated by the band is surprisingly upbeat and warm. After taking a three-year hiatus from the music industry, Architecture in Helsinki is back to making music again and if they continue on their path of making unorthodox, experimental music, the sky's the limit for the Fitzroy, Australia-based collective. The hip-hop purist community is well aware of how special eLZhi is to the realm of rap. His ability to piece conscious lyrics together over lo-fi boom-bap rap beats is unmatched and even has the respect of mainstream listeners as a former member of the legendary hip-hop group, Slum Village. This particular track, simply entitled “February,” was the lead-off single of his 2016 solo effort, Lead Poison, and caught the attention of many for its complex instrumentation. The song features a piano and chime riff sample that climbs up and down the keyboard while an unorthodox and untimed drum pattern allows eLZhi to bounce through the beat and experiment with his flow. Contextually, “February” isn’t the most uplifting song in existence as eLZhi raps about past relationships, reflecting on childhood memories, losing faith, losing close friends, and the death of the legendary hip-hop producer J Dilla (RIP). eLZhi yearns for things to be how they once were but comes to the realization that they things will never be the same. Pill-Oh’s “February Tale” embodies the awaited rebirth many feel in February. The chirping of birds from afar, airy synth pads, a light-hearted piano riff accompanied by twinkling percussive instrumentation is like experiencing an awakening and awareness of complacency while being content with the past and acknowledging that there is a tomorrow to look forward to. “February Tale” is definitely up for interpretation, being that it is simply an instrumental. However, the Athens, Greece-based collective that forms the music project known as PILL-OH has stated that their abstract approach to their musical offerings are based in reflection, nostalgia, and visual storytelling which means they probably have their own explanation of their prized masterpiece in "February Tale." PILL-OH has the opportunity to become major players in the underground instrumental scene and “February Tale” says exactly that. Lou Reed’s “Xmas in February” could possibly be the greatest song about the shortest month of the year. The song’s simplistic nature allows listeners to drown in the song’s dark subject matter. It's a story about a man’s traumatizing experience in the Vietnam War, his battle with opium addiction, and his return stateside. From a listener’s standpoint, one hoped that some type of triumphant comeback will be presented through the lyrics, but (spoilers) it never arrives. As a solo artist, Lou Reed has released 20 solo albums and is considered one of the most influential contributors to the underground rock scene despite his work not translating into physical sales. Throughout his career, Reed struggled with alcoholism and drug addiction himself and ultimately died in 2013 due to liver disease at the age of 71. His poetic approach to his musicianship and experimental guitar technique have been emulated by tons of new coming artists. Despite not being with us today, Lou Reed’s legacy lives on through his artistry allowing us to have "Xmas in February." With that said, use February as an opportunity for growth, self-improvement, and reflection and stick with AXS for all of your ticketing needs.